Dr. Joseph “Kip” Rugutt, associate professor of chemistry at Missouri State University-West Plains, recently received three highly competitive grants from the Carnegie African Diaspora Fellowship (CADF) program to develop collaborative drug discovery research projects with colleges and universities in Kenya. The CADF program is designed to reverse Africa’s “brain drain” by providing fellowships to African-born scholars in the United States so they can visit their home countries and assist in designing curriculum, conducting research, mentoring faculty and training students. During the summers of 2017 and 2018, Rugutt received awards that enabled him to conduct research training, mentoring and professional development workshops to faculty and students at the University of Kabianga and Egerton University. Additionally, he secured a CADF mini-grant that supported his attendance at the Asia International Chemistry Conference Sept. 10-15 in Singapore. 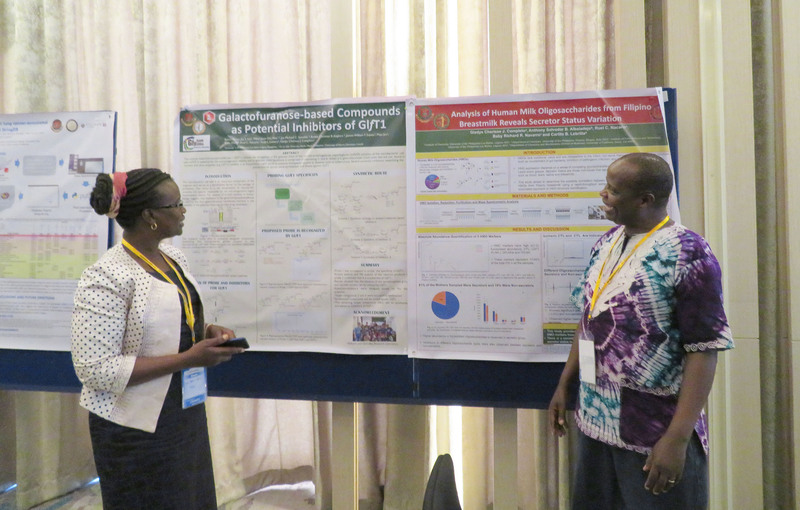 The conference gave Rugutt and his collaborator at the University of Kabianga, Professor Joyce Kiplimo, the opportunity to share their data from the ongoing collaborative research on green nanoscience drug recovery. Undergraduate, graduate and high school students played an integral part in the implementation of the collaborative research projects, he said. The overarching goal of the USA/Kenya collaborative research program is to establish sustainable relationships between different research groups and academic institutions in Kenya and Missouri State-West Plains. Rugutt chose natural products as the centerpiece of the research because many medicinal Kenyan plants represent an important and underexploited reservoir of potentially new pharmaceutical drugs. Preliminary data obtained from a bioassay-directed screening of representative medicinal plants has yielded several compounds that exhibit various bioactivities including anticancer, antimalarial, anti-HIV, antimicrobial, antimycobacterial and antifungal. After identifying the most active chemical compounds from the plants, hypothesis-driven green nanosynthetic modifications were performed in order to pinpoint the essential structural features responsible for their bioactivities, he explained. Novel compounds have been prepared based on the world’s most powerful reaction methods, such as those developed by Nobel Laureates, he added. The integration of research and educational activities in the collaborative projects has been anchored on the fact that natural products research cuts across many STEM (science, technology, engineering and mathematics) disciplines, such as medicinal, organic, analytical and inorganic chemistry, Rugutt said. Working in a multiculturally diverse research environment. During his visits to Kenya, Rugutt offered professional development workshops to faculty and students at the University of Kabianga and Egerton University on important lifelong career skills such as communication techniques (oral and poster presentation), chemical information literacy, laboratory safety skills, good laboratory practices, writing skills (scientific reports, grant proposals, and manuscripts), assessing teaching/learning, and career preparation (professional/research ethics, resumé-writing, team building, chemical information management, and discussing recent high-profile case studies in “discrimination and harassment” in chemistry). As a way of recruiting African students to undergraduate and graduate programs in the United States, Rugutt shared an account of his academic journey from Kenya to the U.S. His personal stories showed that, despite coming from a poor family in a rural village in Kenya, students can still succeed if they remain open-minded, hopeful, determined, focused, motivated and hardworking – never giving up in the midst of insurmountable challenges. In an effort to “spread the joys of chemistry” and inspire future scientists, Rugutt participated in many outreach service activities that promoted inclusivity and diversity. Both his “magic” chemistry demonstrations and the mobile Periodic Table of Chemical Elements Car targeted various demographics, from colleges, elementary/middle/high schools, and the general public in a variety of venues. In addition, he and his twin brother, Professor John Rugutt of Illinois State University, also built a modern public library in Kericho City, Kenya, and equipped it with current textbooks and academic journals, some of which were donated by Missouri State-West Plains. The Associate of Arts in General Studies: a rewarding gateway to your academic future!